With these ten basic ingredients you can seriously clean everything in your house! Why bother spending the money on a whole host of cleaning products (which can sometimes take up a ton of room for storage) when just a few basic, all-natual products will do the trick? Vinegar is really the workhorse cleaning product in your house. Simply mixing it with water can clean the majority of your house. Mix it in a 1/1 mixture with water and you have a great window cleaner. Put it in a spray bottle with water, a couple drops of castille soap and your favorite essential oil and you've got a great all-purpose cleaner. Vinegar is great to add to the dishwasher when running it through the cleaning cycle to get you dishwasher sparkling clean. It is also great for de-scouring a coffee pot. One great use that I've found for vinegar is cleaning the microwave. Instead of spending precious time scraping away at the nasty gunk that cakes onto the microwave, simply put two cups of water and two cups of vinegar in a microwave dish and heat to a boil for about ten minutes (it's a good idea to add a toothpick to the water, as it helps prevent the water from becoming dangerously super-heated). Then let the water sit in the microwave for about ten more minutes. The steam from the mixture helps soften up all the food gunk and the vinegar helps eliminate the stinky microwave smell. Simply wipe down the microwave and you are done! Another great use for vinegar is as a fabric softener. Add a 1/2 a cup of vinegar and a couple of drops of your favorite essential oil and you have a much more gentle and safe fabric softener for your garments. Baking soda, along with vinegar, can seriously do about 90% of the cleaning in your home. 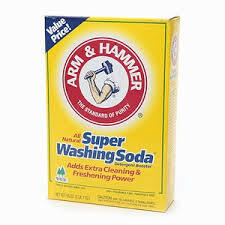 Baking soda alone makes a great, gentle scouring agent for use in sinks, bathtubs, toilets and smooth-top stoves. Add about half a cup of baking soda, followed by about half a cup of vinegar, to the sink drains in your home and let it sit for thirty minutes. Wash the concoction down the drain with boiling water to keep your drains running free. I personally like to follow this routine on a monthly basis to assure that there is no backup in the sinks. This little preventative measure is super cheap and does wonders for keeping the plumber away. Probably my favorite use for baking soda is cleaning the oven. Simply mix baking soda with water until it makes a really thick paste. Smear all over the inside of the oven an leave overnite. In the morning wipe out the baking soda. Most of the caked-on mess from the oven will come right off with the baking soda. Sometimes, especially if it has been a while since the last cleaning, you will have to use a little elbow grease and a steel wool pad to get the really tough stains out. After the oven has dried out you might still see some white, powdery residue left over. 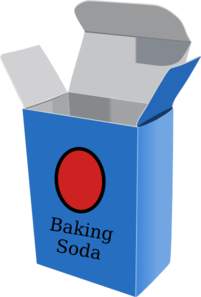 Just spray the oven with some vinegar in a spray bottle and watch the fizzy baking soda dissolve. Then, just wipe again. I love castille soap. It is a little on the pricy side, but luckily a little goes a LONG way! A few drops of castille soap along with water and vinegar make a great window cleaner as well as floor cleaner and all-purpose cleaner. 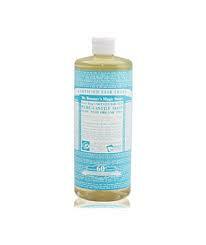 Another nifty use for castille soap is as an ingredient in foaming hand soap. Just mix about one cup of water with two tablespoons of castille soap and about half a teaspoon of olive oil in a foaming soap dispenser. You can add a couple drops of essential oil if you like. GENTLTY agitate to mix and voilia! you never need to pay for foaming hand soap again. 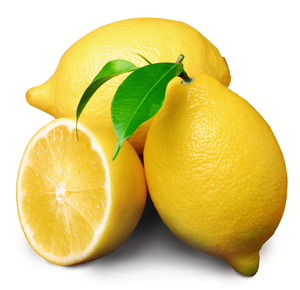 Lemons not only smell yummy but they also have wonderful antiseptic qualities. You can use them in the laundry as a bleaching agent. Mix them with lemon essential oil and olive oil and you have a wonderful furniture polish. A really powerful use for lemons is in the bathroom. Mix some lemon juice with borax in the toilet for a great all-natural toilet cleaner. This is especially nice when considering that toilet cleaner is not only expensive but also one of the most toxic cleaners out there! 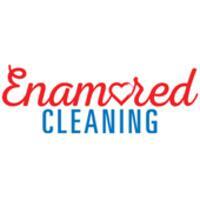 I have just recently discovered the amazing power of enzymatic cleaners. 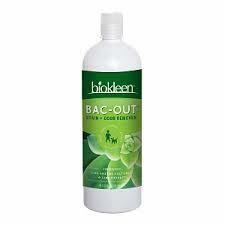 These cleaners break down protein- and organic-based stains so they are great for removing pet stains and odors and they flat-out work wonders in the laundry. Basically all laundry stains that you are going to have are protein-based so just spray on the stain and let sit before washing the clothes. These cleaners are so gentle that I haven't had any issues at all with discoloring fabric. 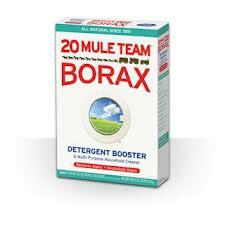 Borax, as I mentioned above is great for cleaning toilets. But one of my favorite uses is as one of the main ingredients in my homemade laundry detergent. Just add one box of Borax, one box of Washing Soda, two bars of finely grated Ivory Soap and 4 lbs. of Baking Soda and mix well. You only need to use about one tablespoon of detergent per load. This recipe will give you enough detergent for about six months worth of laundry and costs a fraction of the store-bought laundry detergent. As I've mentioned above, washing soda is one of the main ingredients in homemade laundry detergent. However, you can also use it as an ingredient in homemade dishwashing detergent. Mix two parts borax, two parts washing soda and one part kosher salf and mix well. Use a heaping tablespoon in the dishwasher to replace buying store bought dishwashing detergent. 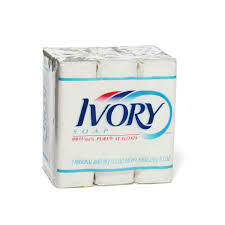 Ivory Soap has been around for over a century and according to it's website it is 99.4% pure and is super-gentle. It is one of the ingredients in my homemade laundry detergent and is also great as an ingredient in my laundry detergent that I use for lingerie and other super-delicate fabrics. Just finely grate a bar of soap (or if you have a food processor, let it do the hard work!) and add to a cup of washing soda. When handwashing items in the sink you really only need half a tablespoon. It is extra gentle of delicate fabrics and you won't be left guessing what kind of chemicals are in the store-bought stuff. Essential oils are available in all sorts of fragrances and can also be pretty pricy. I've found, however, that if you stick with just lavendar and lemon essential oils it is really not necessary to purchase any other type. Both lavendar and lemon smell great and have antiseptic properties. Essential oils also boast several medicinal properties and with a quick Google search or a trip to your local natural grocery store you can learn and amazing amount about how these products can benefit your health. OK, so you might be thinking that including water on the list may be cheating a bit, but truly water is a part in every major cleaning endeavor. And honestly, I have found that if you take the time to do some cleaning routines every day, it's often not necessary to use much else to get your house clean. And, if used wisely, it's cheap too! 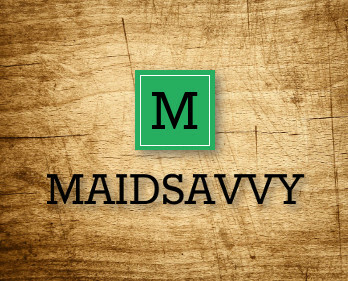 So there is my list of ten best all-natural cleaning products. I could probably add a few more to the list that I also use quite a bit, but these are my mainstays. All of these products have been around for a century or longer so they really stood the test of time. I guess Grandma was right all along!